Years ago, Bem Joiner helped book Atlanta shows for Drake and Kendrick Lamar before they were household names. Today he concerns himself most with the city’s public image—and what its hip-hop cachet could lend to that—as the community relations manager at the Center for Civic Innovation. Joiner swears that he has seen parts of “Atlanta” play out in real life, from “Skrt” catching on (despite Kodak Black being from south Florida) to Earn sneaking some soda from Zesto Drive-In. 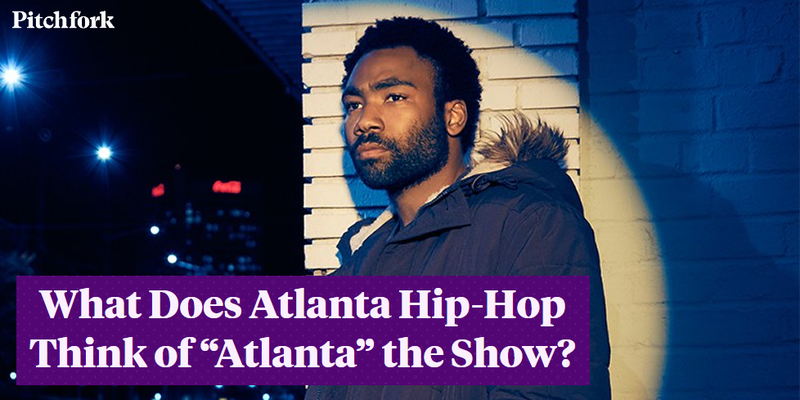 But, as someone who thought Vice’s “Noisey Atlanta” show was a bit too exploitative (“They made it seem like the whole city was run on Curtis Snow,” as in the infamous drug dealer from Snow on tha Bluff), Joiner views “Atlanta” as a rare opportunity for Hollywood to capture the city’s multitudes. Joiner rattles off ideas for future episodes: feature Chilly-O T-shirts, an unofficial city uniform, or have Paper Boi record a song with YFN Lucci, a fellow newcomer and real-life example of how local radio and grassroots efforts can translate to national fame. Last fall’s messy mayoral election—in which the hip-hop community got involved, resulting in T.I. and Killer Mike serving on victor Keisha Lance Bottoms’ transition team—seems ripe for an allusion. “I think it could use a few more of our specific cultural moments,” Joiner says.